It is officially the first day of Fall and I am so thrilled for carving pumpkins, fur throws, home made apple cider and cooler weather! Not to mention all of the fall clothing! We were out the other day shopping for both the kids and usually my favorite color this time for tops and such (for them & myself) is maroon, but that army green might take the cake this year! Literally. so. many. cute. pieces! And buyer beware, stay AWAY from Target. You will leave with so much fall decor that was not on your list ... but that happens every time already so what the heck, who am I kidding? Go at least 3 times a week like we do, haha! 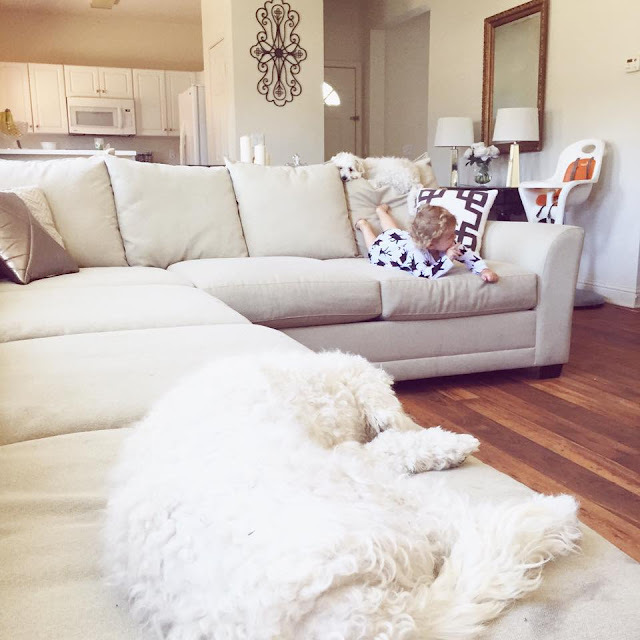 Fall garland and pumpkins have started to trickle in from the garage, and we're doing something fun with the playroom I can't wait to share a little later that we didn't do last year but I think will be a really fun spot for the Halloween season. We also already have a trip planned to our annual farm that has so many fun things for the kids like a petting zoo, face painting, pumpkin patch, hayrides, you know all the bucket list fall necessities as well as a super exciting trip in October that Viv is going to love! It will definitely be a busy, but very exciting next couple of months! I thought I'd share with you our bucket list for the fall season and I would love to hear yours to add to it! Having your own family traditions around this time of year make everything so much more fun and special! 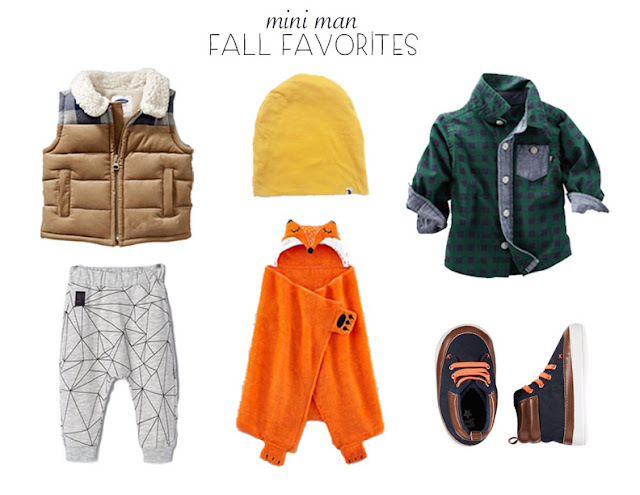 I will also leave you with some of my mini man favorites for this season! What are you looking forward to most wearing?